Seventeen-year-old Katy Rose stands outside the dusty, reddish grounds of the Msamaria Center for Street Children in Moshi, Tanzania. Kids of all ages run toward her and eight other students visiting from Erie’s Villa Maria Academy and Cathedral Prep. In the happy chaos, each of the Erie teenagers — except Rose — manages to scoop up a boy or girl. But she spots a boy, about 5 years old, sitting by himself on a nearby table. His name is Rahim Ibrahim Mshamba. “Is anything wrong?” she asks. But, of course, Rahim doesn’t speak English. 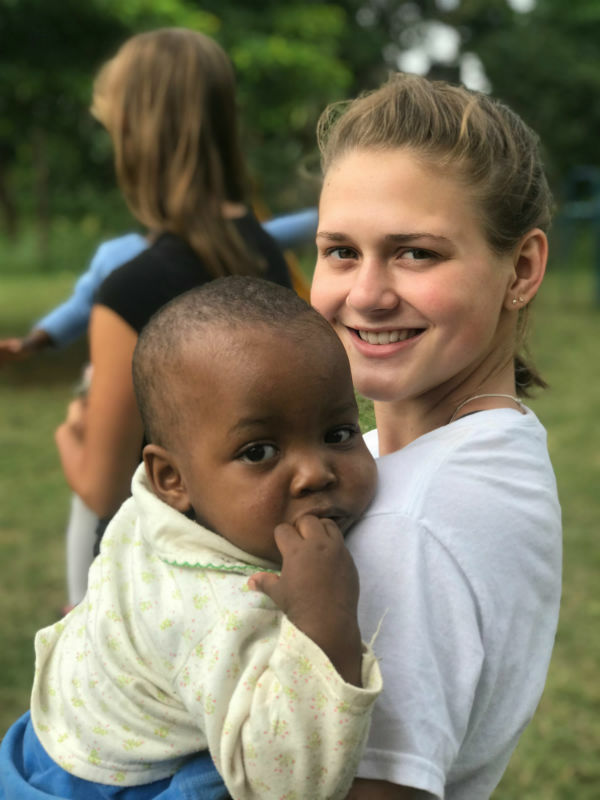 This past year, nearly 100 teenagers like Rose traveled from the Diocese of Erie to what Pope Francis calls “the peripheries,” those areas of the world — even our own country — in which people are marginalized by poverty, despair, war, drugs and a number of other social ills. The social teachings of the Catholic Church resonate with today’s youth, according to John Vitek, president and CEO of St. Mary’s Press and one of the two principal authors of the January 2018 study “Going, Going, Gone: The Dynamics of Disaffiliation in Young Catholics.” The report was written in collaboration with the Center for Applied Research in the Apostolate (CARA) at Georgetown University. For most young missioners in the Diocese of Erie, working on the margins of society inspires even more activism. Some consider religious life or the Peace Corps. Father Michael DeMartinis, 49, knows what that’s like. During a 1989 diocesan mission trip to Vanceburg, Ky., as a junior in college, he found his own priestly vocation. Established by the late Sister Therese Dush, CA, the Kentucky mission has involved more than 500 teenagers over its 47-year history. Father DeMartinis has been leading the trip for the past 25 years, with the help of chaperones who had participated in the mission as teenagers themselves or whose children volunteered. Since April, he has led service trips not only to Kentucky, but to the Diocese of Moshi in India, and to the Diocese of Arusha in Tanzania, the site of the Msamaria Center. The trips are open to all students in the Diocese of Erie. “I believe that when you put kids in a situation where they are ministering to other people, where they see the true needs of the world beyond what we’re used to here, then it awakens something in them at a very deep level. They process it and it changes the direction of their lives,” says Father DeMartinis, a theology teacher at both Villa and Prep. For Katy Rose, that direction came in Africa when she met Rahim, the quiet boy who fell asleep in her arms, and when she held baby Aliya Temba. belonging to something of purpose and meaning." Villa and Mercyhurst Prep, respectively, are committed to a life of service because of their work in Kentucky. During their week-long summer visits, they have helped serve hundreds of people who line up every month at the Lend a Helping Hand Food Pantry in Tollesboro, Ky. They also assist with Vacation Bible School and organize prayer vigils and service projects for neighbors. Horstman, a 17-year-old Prep senior, also traveled this past year to India. He’s hoping to do a Global Citizen Year after high school. 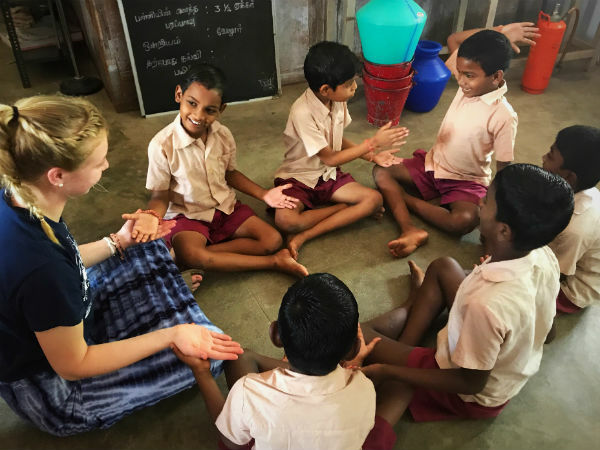 Dugan, a Villa senior, also traveled to India in 2018. She is considering religious life, as is Andrew Applebee, a Mercyhurst senior. This year, Applebee joined the Kentucky mission and Mercyhurst Prep’s annual outreach to the homeless in Baltimore. Service on the peripheries also makes the faith come alive for Loren Way, a sophomore at DuBois Central Catholic, and Eddi, Montsy, Xhonanita and Joseph Olivas, youth members of St. Michael Parish in Emlenton in Clarion County. Both Way and the Olivas children have participated in separate mission excursions with their families to Jamaica, Mexico and Colombia. The Catholic Heart Work Camp, a national service program offered to teens from throughout the U.S., has been held in Oil City the past seven years. This past summer, about 120 young people served the needy in Venango County. The impact of mission work on young people, and those they serve, can last a lifetime. Father DeMartinis was led to the priesthood. Erie resident Angela Lombardi Kaiser, 28, pursued a nursing career. Amy Boxer, 25, continues to serve as an adult chaperone. Diocese of Moshi in Tanzania. 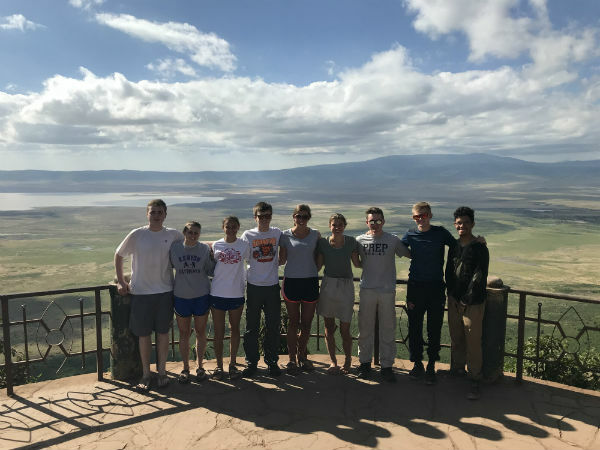 The Erie group is pictured at the Ngorongoro Crater National Park in Tanzania. A student missionary to Kentucky from 2008 to 2011, Boxer works at Safe Harbor Behavioral Health of UPMC, Erie. She and other volunteers stay in touch throughout the year with the friends they’ve made in Vanceburg, an impoverished area located on the Ohio River. “It’s the essence of family and a place where I still feel like I’m able to fully embody my own faith, but also share my faith with others,” Boxer says. For decades, people like Shirley Stanfield, 76, a resident of Vanceburg, have opened their homes and hearts to volunteers. She remembers the summer day back in 1972 when a group led by Sister Therese helped her and her husband place a season’s worth of baled hay on a wagon. Every year since that time, Stanfield and other neighbors join the Erie contingent for an outdoor revival service at an abandoned church, Our Lady of Lourdes Chapel, on Salt Lick Road in Lewis County. “I see God in ‘em. That’s exactly what I see,” Stanfield says. Vanceburg teenagers Jana and Mya Rogers look forward every year to attending the Vacation Bible School led by the Erie diocesan group. The program is held at Holy Redeemer Church, the only Catholic parish in the sprawling, rural Lewis County. While some Erie teens admit to signing up for a mission trip only for the adventure, they soon discover, as did Prep senior David Clark, that “a massive change in perspective” occurs. He went to Africa and saw firsthand the needs at the Msamaria House for Street Children. “It was an opportunity to make an impact,” he says. Faith Rebich, a junior at Villa, agrees. She traveled to Kentucky and to two orphanages in India with Father DeMartinis and other students. For information on mission opportunities with Father Michael DeMartinis, email him at Mike.DeMartinis@prep-villa.com. To learn more about Catholic Heart Work Camp, go to http://heartworkcamp.com/. To inquire about mission opportunities through the Mission Office of the Diocese of Erie, contact Indira Suarez, director, at isuarez@ErieRCD.org or call her at 814-824-1231.